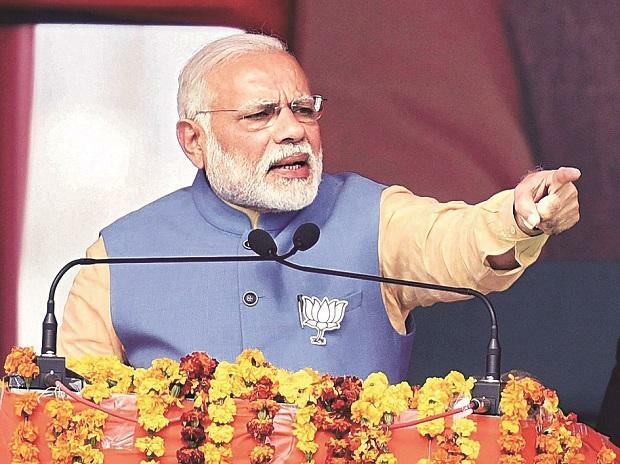 British politician and economist Meghnad Desai, a self-confessed Narendra Modi admirer till some time back, has accused the prime minister of not being a team player and predicted that the "disappointed" electorate will not vote him back with a majority. Modi "over promised" and was wrong in believing that he could run the whole country with the help of a few bureaucrats and not with a strong cabinet, as he did in Gujarat when he was the chief minister, Desai said. "Ultimately,the people are disappointed. Somehow, the feeling is that 'acch din ab tak nahin aaye' (the promised good days have not come in yet)," Desai told PTI in an interview Thursday. The London-settled Desai, a long-time Labour Party member, said Modi had a "great opportunity" and seemed to suggest that lack of team play may prove to be his undoing. "Modi, while being a good politician is not a good team player, he is not a team leader. He is a mass leader, but not a team leader," he said, adding barring Arun Jaitley and Sushma Swaraj, no other minister in his cabinet had previous experience. In contrast, the UPA regime, led by the "unlikely" Manmohan Singh, had at least six cabinet ministers, including Pranab Mukherjee, Arjun Singh, Sharad Pawar and P Chidambaram, who are all prime minister materials, he said. Modi had no idea that things would become so difficult and now it has come to such a level that he will have to ask for one more chance at power, Desai said. When asked if Modi has humility, Desai suggested that BJP's loss in the three Hindi-heartland states earlier this month should be humbling enough to make such a move. No single party will get a full majority in the 2019 hustings and we should brace for either an NDA or UPA-led coalition government, he said and warned that if such an eventuality does happen, it would be difficult to run a smooth house and government, he said. We need to stop expecting politicians to do anything good, he said, adding less of governance will be the best for the economy. Desai also attacked the Modi government for the crisis at the Reserve Bank saying it is not good to lose two successive governors, and specifically pointed out to the invoking of the never-before-used Section 7 of the Banking Regulation Act as a wrong step. If the government has to do something "spectacularly foolish" take the RBI reserves and spend it on "stupidities" like farm loan waivers, and you can see the "rupee is collapsed", he warned and termed the reserves as a "red line" that should not be crossed. He also welcomed the speech by deputy governor Viral Acharya wherein he warned of the wrath of the markets if the central bank's autonomy is compromised, and said that was a "good warning". Asserting that a central bank should not be run for political purposes, Desai lashed out at the untimely removal of Nachiket Mor from the RBI central board and the prominence given to fringe organisations like Swadeshi Jagran Manch in the board now. Organisations like SJM, to which S Gurumurthy belongs, have no place in the country at all, Desai said. When asked about governor Shaktikanta Das, Desai reminded of the independent work done by D Subbarao as the RBI governor despite hailing from the same bureaucracy that Das belonged to. He said the fact that this is the last job for Das, will also be of help. When asked if Patel's resignation will make it be difficult to attract talent from overseas to head key public jobs, he said the Modi regime has to come out clean and set the record straight on the factors that led to the sudden resignation. "The next person invited from abroad to be a central bank governor will want to know what happened in the past and he will call up Patel and Rajan. The government has to give its side of the story clean," he said, should stop "pretending" that nothing has happened.